Most men that want to lose weight want to do it rapidly and "get it over with." I seem to be unusual, because I hate rapid weight loss - I'd rather suffer litte bits of pain every day than experience "Hell Week" so to speak. Regardless, one of the problems with rapid weight loss is that typically a lot of muscle is lost along with the fat. This leaves one with both less fat AND less muscle, which effectively skews one's metabolism to put on weight on again after the post-dieting stage. What you ideally want to do is lose just the fat. But how you do that is the question. a) Cut calories by 40% from baseline (including exercise calories). c) Consume high protein levels (2.4 grams per kilogram of body weight or 1.1 grams per pound of body weight). 2. Participants gained 2.5 pounds of lean body mass. CAUTION: You probably wouldn't want to do it forever due to its reliance on intense exercise so many times per week. As evidence of this, consider that these were young men and their testosterone levels dropped from 507 to 126 ng/dl! The controls also had testosterone levels drop off this much in T and so that indicates that it was the intense exercise causing testosterone to plummet. 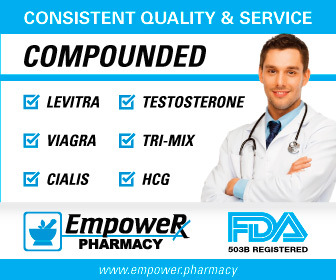 Or, another to look at this, is that this sort of protocol may only be appropriate for men on HRT where they are propped up with exogenous hormones. WHAT I LOVE ABOUT THIS PROTOCOL - IT'S JUST SO DEAD ON: This study came out of McMaster's University, where they have been doing some fascinating and impotrant anti-aging research, and it shows. First of all, they used a wide variety of exercise routines. Particpants had to walk at least 10,000 steps per day on top of their exercise. (I'm proud to say I try to do 13,000 including my exercise as of this writing.) They also did intense exercise six days per week, including a) resistance, whole body circuit training, b) HIIT, c) plyometric circuits and more. (If you want to know the exact details, see Reference #1 below and check out the full study.) Now you don't want to do intense exercise 365 days per year, but I loved to see them doing a wide variety and types of exercise . Secondly, if you add up the calories, the particpants actually were eating around 2,500 calories per day. This is a far cry from the starvation diets in the 1,200 calorie range that are often advocated. In other words, this diet was not a Biggest Loser, go-through-hell-while-I-yell-you-through-it kind of diet. They calculated baseline calories and included the calories needed for all the exercise that they were doing. This is why the participants lost so much weight even though their calorie levels were fairly high. NOTE: Middle-aged and senior men who want to try this will generally need to consume less calories, because our metabolism decreases generally as we age. If you have any signs of heart disease or other medical conditions, get clearance from your doctor first. Third, I like the fact that the protein they consumed came from lean protein sources. Now they used whey protein drinks, and I personally don't think that that much whey is a good idea for many reasons, but the point is that they were trying to come up with protein sources that didn't involve ingesting a bunch of industrial meat and dairy, so hats off to them. Lastly, they put the men on a low fat, high protein, medium carb diet. This is exactly how I eat, except that I am careful to consume only "good carbs," i.e. low glycemic, whole food carbohydrates. Basically, I eat a lower fat flexitarian kind of diet and believe that this style of eating will really catch on in the coming decades. Check out the accompanying graph to get a picture of their macronutrient levels. NOTE: I think the following is the best and safest approach for longer term weight loss, a program designed by Clarence Bass, the king of being cut and musclar well into his senior years: Clarence Bass' Challenge Yourself Program. 1) Am J Clin Nutr March, 2016, 103(3):738-746, "Higher compared with lower dietary protein during an energy deficit combined with intense exercise promotes greater lean mass gain and fat mass loss: a randomized trial"